Filled with unexpected good news about growing older, Winter's Graces highlights eleven qualities that ripen with age--including audacious authenticity, creative ingenuity, necessary fierceness, self-transcending generosity, and a growing capacity to savor life and to ride its ups and downs with humor and grace. Decades of research have established that the catastrophic conditions often associated with late life, such as severe dementia and debilitating frailty, are the exception, not the rule. Still, the mistaken idea that aging equals devastating decline persists, causing enormous and unnecessary suffering, especially for women. Drawing on decades of experience as a psychology professor and psychotherapist, Susan Stewart, PhD, weaves together inspiring folk stories that illustrate the graces of winter and recent research that validates them, along with a wealth of user-friendly tools and practices for amplifying these graces and bringing them to life. 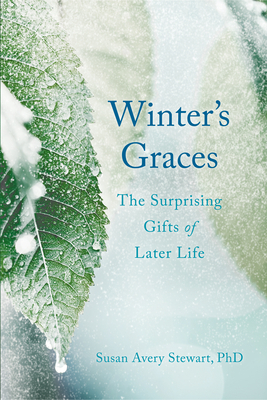 Written primarily for women over 50 seeking good news about growing older, Winter's Graces offers adults of all ages a compelling vision of aging that celebrates its many gifts, acknowledges its challenges, and reveals how the last season of life can be the most fulfilling of all.